The “proper” USB Restricted Mode, the one that would completely shut down all data communications between the iOS device and the computer, was still missing in iOS 11.4. Only to reappear – in a much refined form – in iOS 11.4.1 beta. Our May publication made a lot of noise. Some users were excited to receive this additional protection levels, many asking for the feature to be even more restrictive, and most prompting for the feature to become user selectable. It seems that someone in Apple does read such publications, and does care about user’s voices (kudos to them if this is true). Without much fuss (“Bug fixes and improvements” is all that’s mentioned in iOS 11.4 Release Notes), Apple introduces a major new security feature. Say hello to the new and improved USB Restricted Mode. 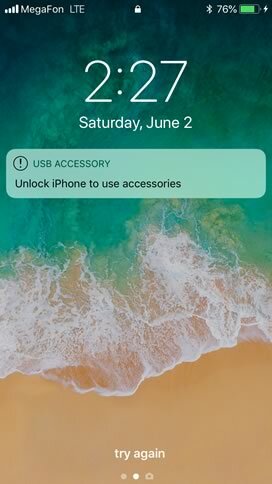 Once the user toggles the “USB Accessories” switch, the iPhone will require you to “Unlock iPhone to allow USB accessories to connect when it has been more than an hour since your iPhone was locked”. How do we know this is the “proper” USB Restricted Mode this time? Because, unlike before, there is zero data communicated over the USB port once this feature kicks in. iTunes does not see the device at all; no “unlock this device to access” and no pairing request. The iPhone just charges off the computer’s USB port, transmitting no information. We have not been able to access even the basic information about the device using the Elcomsoft iOS Forensic Toolkit I(nfo) command, the very same command that returns identification information about an iOS device even if it has never been paired with the computer. The police were frequently using lockdown records extracted from suspects’ computers to access the content of locked devices and produce iTunes-styles backups; all that without knowing the passcode or unlocking the phone with Touch ID/Face ID. The toned-down version of USB Restricted Mode that was included in previous versions of iOS already put a limit of only 24 hours, after which the iPhone would have to be unlocked (24-48 hours: with Touch ID/Face ID or passcode; after 48 hours: passcode only) in order to make use of the existing lockdown record. The new USB Restricted Mode puts significantly more severe limitations in place. Not only will the experts have an extremely small window of opportunity of just one hours, but they may lose the ability to do just about anything with the device once it shuts down the USB port – including the ability to run a password cracking tool. The End of Forensic Unlocks? Will this really be it? 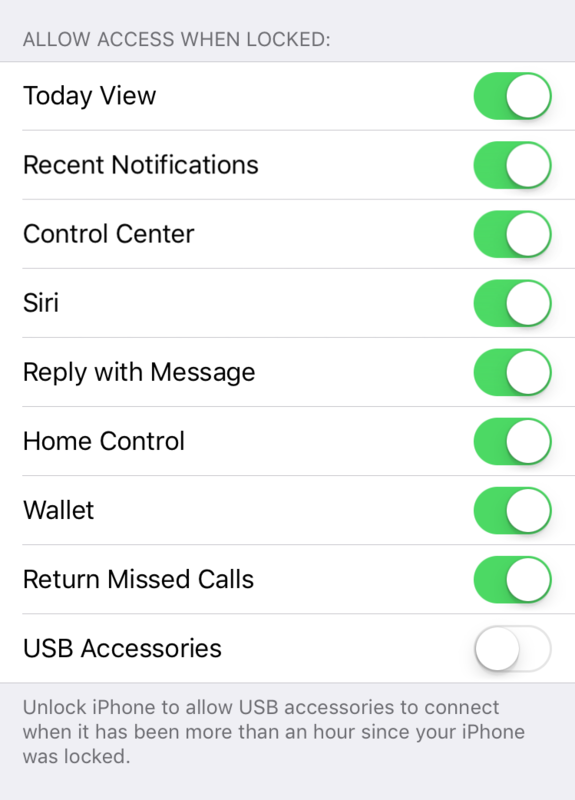 Will the new USB Restricted Mode really prevent tools such as Cellebrite and GrayShift from breaking passcodes on devices running iOS 11.4.1 (beta)? At this time, we have no idea. But it certainly looks like this was what Apple planned all along. This entry was posted on Saturday, June 2nd, 2018 at 2:38 pm	and is filed under Security, Software. You can follow any responses to this entry through the RSS 2.0 feed. Both comments and pings are currently closed.